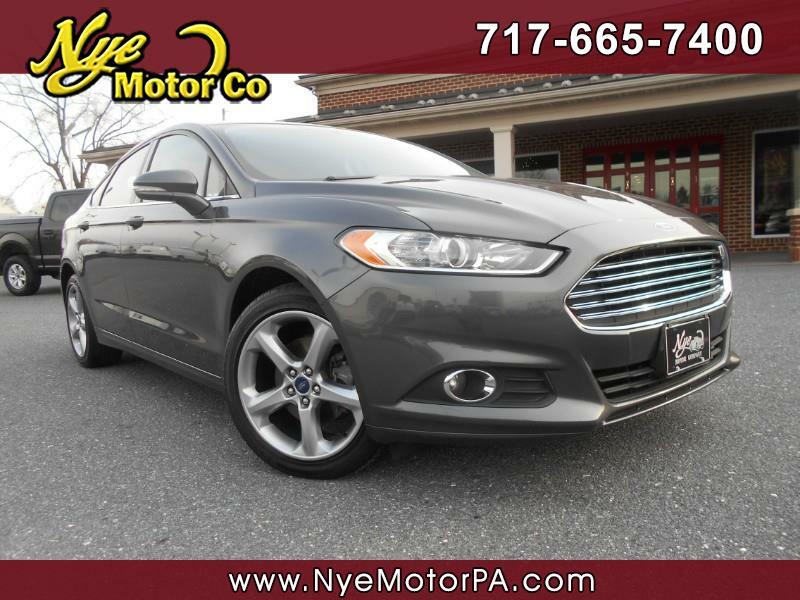 Used 2016 Ford Fusion SE AWD for Sale in Manheim PA 17545 Nye Motor Co.
****1-OWNER****CLAN VEHICLE HISTORY REPORT****ALL WHEEL DRIVE****SUNROOF****BEAUTIFUL**** Must see 2016 Ford Fusion SE AWD with only 35K miles! Equipped nicely with a Sunroof, Cd, Sync, USB, Bluetooth, Steering Wheel Mounted Controls, Cruise, Tilt, Automatic Headlights, Back Up Cam, Power Windows, Power Door Locks, Power Seat, and More! Powered by a great running 2.0L, 4-Cylinder and driven by a smooth shifting automatic transmission. Call today to schedule your test drive.